The holidays are all about traditions, right? Around here we’re all about traditions: we have the traditional squabble about who gets to put the Christmas tree lights on the tree, the yearly scramble to finish the holiday shopping ….etc, etc, etc. Yep. We’re all about traditions. 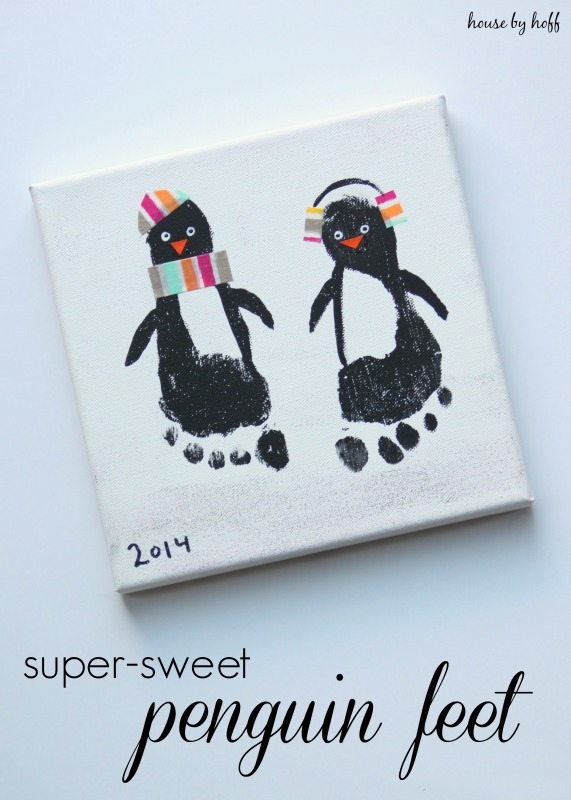 One very fun holiday project that is quickly becoming a holiday tradition is footprint artwork! 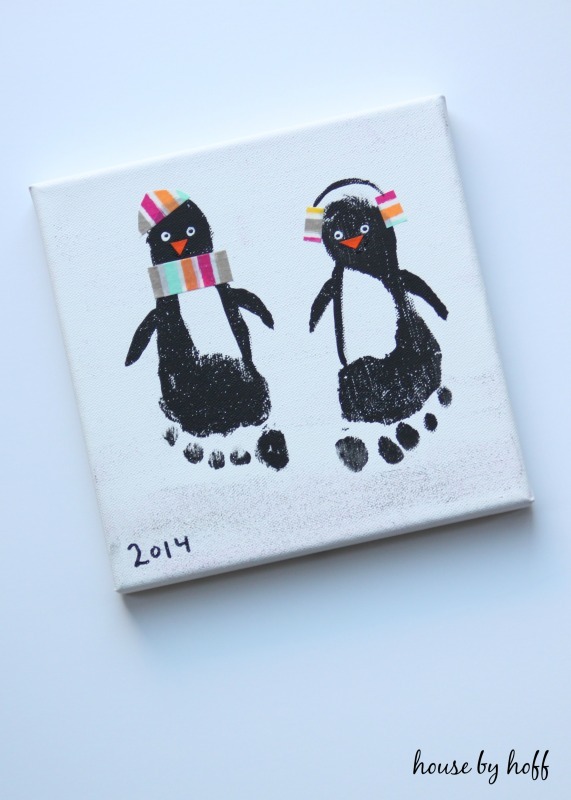 Each year we paint our kid’s feet a color, have her stamp them on a 8″ x 8″ canvas, and then turn it into a footprint masterpiece! We give these footprinted beauties as gifts for Grandmas and Great-Grandmas among other beloved relatives and friends. I made the little hat, scarf, and earmuffs with Washi-Tape. The beaks were cut from orange scrapbook paper and Mod-Podged on the canvas. I painted the little eyeballs on with white and black paint. 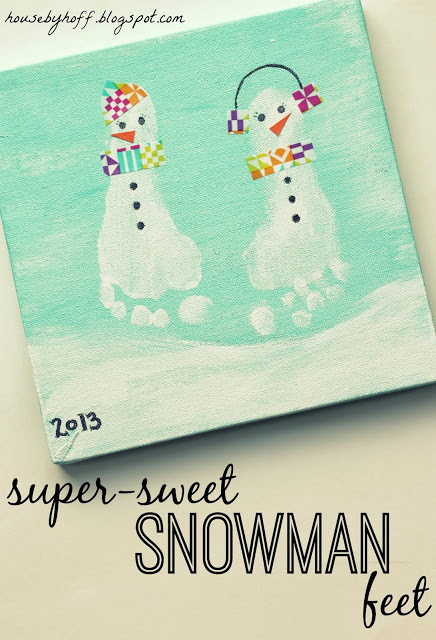 To see more on our Snowman Feet from last year, click here. 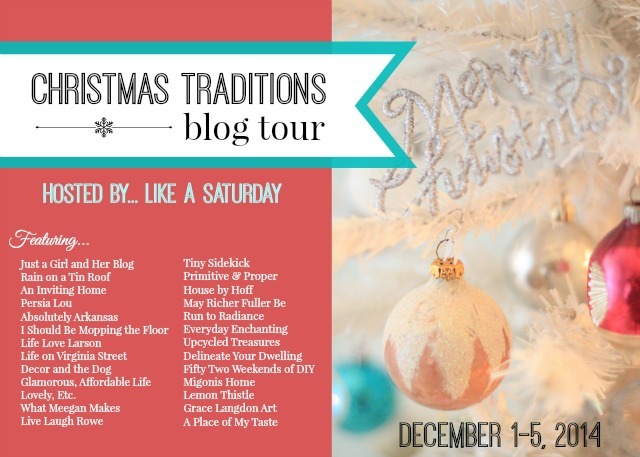 I’m so happy to be taking part of the “Christmas Traditions Blog Tour” with some fabulous bloggers hosted by Rachel from Like A Saturday! These are so sweet! And messy. Such a cute idea! These are completely adorable! I have that exact same washi tape at the house, so you can bet I’ll be making these soon with the kids. Thanks so much for sharing! I love this adorable tradition! And even better that it doubles as a sweet gift for Grandma’s and great grandmas. Your kiddos are just adorable! What a cute idea! Absolutely adorable! How cute! love these, April!! Oh my goodness this is too freakin’ adorable! I have never seen this idea before and love it as I’m sure their grandparents do too! Thanks for sharing and happy holidays! These are so precious, April! Such a fun tradition! I’m so glad to be a part of this tradition tour with you!